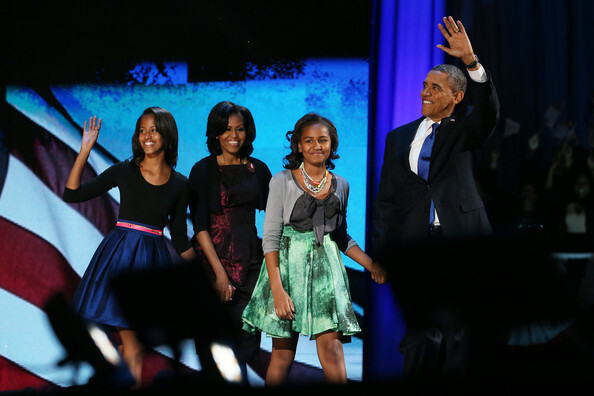 U.S. President Barack Obama walks on stage with first lady Michelle Obama and daughters Sasha and Malia to deliver his victory speech on election night at McCormick Place November 6, 2012 in Chicago, Illinois. Obama won reelection against Republican candidate, former Massachusetts Governor Mitt Romney. Sasha Obama looked very girly in her gray cardigan, bow-embellished blouse, and print skirt during her father's victory celebration.